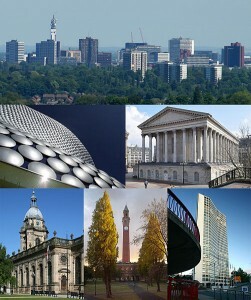 Over 250 leading dementia scientists from across the globe will gather in Birmingham this week for Alzheimer’s Research UK Conference 2012, the country’s largest dedicated dementia research conference. The event, which takes place on 27 and 28 March, will share the latest evidence on a wide range of research topics, including talks from UK-based scientists on midlife risk reduction, and the importance of early life cognition in understanding cognitive ageing. · Prof John Starr of University of Edinburgh on the importance of early life cognition in understanding cognitive ageing. “UK dementia researchers punch above their weight in the global battle to defeat Alzheimer’s disease and other causes of dementia, and this conference is a crucial way for the field to collaborate. Dementia is complex, and requires scientists from many different disciplines to defeat it, so it’s important to keep this multifaceted field talking. Jamie and Vicki Graham, of Dauntsey near Chippenham, know only too well the devastating effects of dementia, as Jamie was diagnosed with early-onset Alzheimer’s disease in 2007 when he was just 59. The pair have since raised thousands for dementia research, and have been made Champions of Alzheimer’s Research UK in recognition of their support for the charity. “When Jamie was diagnosed with Alzheimer’s our whole world changed. Jamie has enormous courage and still has his sense of humour, but seeing him slowly deteriorate is incredibly difficult. Tagged Alzheimer, Alzheimer's disease, charity. Bookmark the permalink. You guys have some really informative and interesting info on Alzheimer’s every month. Thanks for keep the public informed and aware of the research news happening on Alzheimer’s disease.